Easter and UFC? Easter and UFC. Easter is getting close so let me tell you about the single best fight I have ever seen in my lifetime. In 2005, I had just started following the UFC and was becoming educated in the sport. So one night, in the spring of that year, a buddy sent me a youtube link for the fight between Matt Hughes and Frank Trigg at UFC 52 (actually it was the second time these two had faced off in the Octagon). Sitting at my desk, I clicked on the link and began watching. By the end of the 5-minute clip, all I know is that I was standing up and exclaiming great…..exclamations. Goosebumps covered my arms and adrenaline was flowing. WHAT.A.FIGHT!! This fight was unlike anything else. The game had changed. Here’s how it went down: Early in the fight, Trigg lands an illegal shot to Matt’s…manhood area. Normally, the ref will call for a break and allow the fighter to recover. But the referee didn’t see it and so Trigg, sensing a weakened opponent in a vulnerable time, came forward with punches, knees, and bad intentions. He was going for the finish right here and now. Trigg ends up securing a rear-naked-choke on Hughes and the situation looks hopeless. The choke is locked in tight and you can see Matt’s face really going red. He will have to either tap or pass out but either way, this fight is over. Trigg is about to win and take the belt with the help of some dirty tactics. But Hughes somehow….someway…finds the strength to turn out of the choke. I still do not understand it. He was locked up and done. The fight should have been OVER! But Matt found something inside himself to respond. He found something that would refuse to go down like that. Call it a champion’s heart. Call it competitive spirit. Call it whatever you want, but it staggers me every time I rewatch it. Hughes escapes and proceeds to literally PICK TRIGG UP! He then carries him across the Octagon and SLAMS him down. To say “and the crowd goes crazy!” is beyond an understatement. It was like the entire crowd just emitted pure, raw, explosive energy. When Trigg’s body hit the canvas, the collective voice of every person in that arena was cranked up to a 10. It was a moment. It was a moment that just simply destroyed. Hughes now takes top position and begins raining down monstrous elbows and fists on Trigg. Trigg soon panics and ends up getting caught in the rear-naked-choke himself. This was how Trigg was supposed to win the fight just moments ago…with this exact move. And now, it is his reckoning. Trigg cannot escape this. He is forced to tap out, signaling that he is quitting and admitting a loss. Just a few seconds ago, he HAD victory in his literal grasp. It was a sure thing. Victory was RIGHT THERE. But there was a reversal, wasn’t there? A sweet reversal that changed it all in just an instant. This fight is on my mind as Easter draws near. For as explosive and amazing as that fight is, I would say it is an exceedingly small, faint echo of the truth of Good Friday and Easter. That fight is a little arrow that points me back to the cosmic fight of the ages on a hill called Calvary so long ago. Consider what this world witnessed those 2,000 years ago: God in the flesh, climbed upon a blood-stained cross, and died at the hands of His own creation. The world saw Jesus Christ endure the excruciating suffering of a Roman execution. Was this Satan’s triumph? Was this him “stealing the belt?” How could such a thing happen? Maybe it seemed like Satan HAD won. Jesus claimed repeatedly to be God….why COULDN’T He summon a legion of angels to rescue Him? If He had all the power He claimed, it sure seemed confusing to not use them. Maybe it WAS just big-talk. Maybe Jesus was just another prophet. Maybe Satan had choked out everything good forever and ever. In any case, the fight seemed very one-sided and definitely over. Until…three days later…just like He had repeatedly predicted…Jesus somehow…someway…RISES off the canvas. The impossible was being realized. Jesus the Christ literally ROSE from death. The grave was empty. This was unlike anything else. The game had changed! The entire course of human history and future had changed! This was a moment and a truth. This was a moment and a truth that just simply destroyed. Jesus got back up and, in so doing, showed HE was the One who actually had locked in a choke this whole time. God was using the death of His perfect Son to usher in the death of Death itself! God was using Satan’s own weapons against him. By humbly and willingly laying down His life according to the Father’s great plan, Jesus was actually giving the sting of death right back to Death. The historical fact of the resurrection of Jesus boldly and brilliantly shows that yes, He is God and that yes, He is totally and completely triumphant in all things for ALL time. Satan will lose. Suffering will suffer defeat. Cancer is being eaten from inside. Sickness faces a terminal illness. Death is dying. Maybe in Satan’s view, the death of Christ seemed like victory within his grasp. It was a sure thing. But there was a cosmic reversal happening. A sweet reversal that changed everything forever and ever. The empty tomb of Jesus exclaims that death doesn’t just tap…it’s terminated. 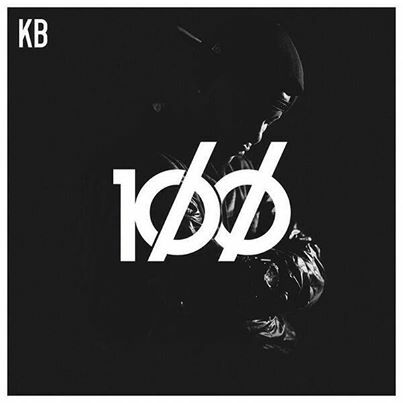 On his recent EP titled “100,” KB has a song called “Undefeated.” It is a song written from the perspective of God and is a strong proclamation of God’s unmatched power and reign. The Lord is undefeated, and really…unchallenged. There are no close calls, no contenders, no losses. When My glory goes and reverses it! This is the life-changing truth of Easter. God is undefeated. In fact, He was never even losing. He was winning the whole time. The “worst punch is the one you don’t see” and it’s what destroyed Satan. God is the Great Reverser of all things. For His people…for His children, they will never face the total loss of any good thing. They will NEVER face the loss of God Himself! Yes, there will be earthly losses, pains, sicknesses, and deaths. There can be days in which it SEEMS like evil is winning, but know this and know it with deep, strong certainty—God will reverse it all. That’s why Paul comforts Christians with this beautiful truth in Romans 8: “And we know that God causes all things to work together for good to those who love God, to those who are called according to His purpose.” Yes, that is our God. That is Great Reverser of all things! Don’t get it twisted—the scoreboard doesn’t lie! The Gospel speaks true hope into the lives of those who trust in Christ and rejoice in His victory. We praise the One who is and always will be Undefeated. So, as the Passion week, Good Friday, and Easter draw closer, I pray you would spend some time to contemplate the depth of these truths. Read the Gospel accounts of the Cross and the Resurrection. Think on them. Truly consider what it all means. When the beauty of it all sinks into your heart, I pray you will put that UFC crowd to shame. Let your praise of Jesus be unmatched. By yourself, praise His good name. In the midst of His people, praise His good name. He HAS slammed our enemies on their back. He WILL utterly destroy them. He will completely conquer and vanquish them. Jesus reigns. He always has and He always will. As always, thanks for reading. I do appreciate your time. Your comments are always welcomed. And if you like it, share it. This entry was posted on April 1, 2014 by Josh Humbert in Blogroll and tagged Death, Easter, KB, Matt Hughes, pain, redemption, reversal, Romans 8, UFC, Undefeated.